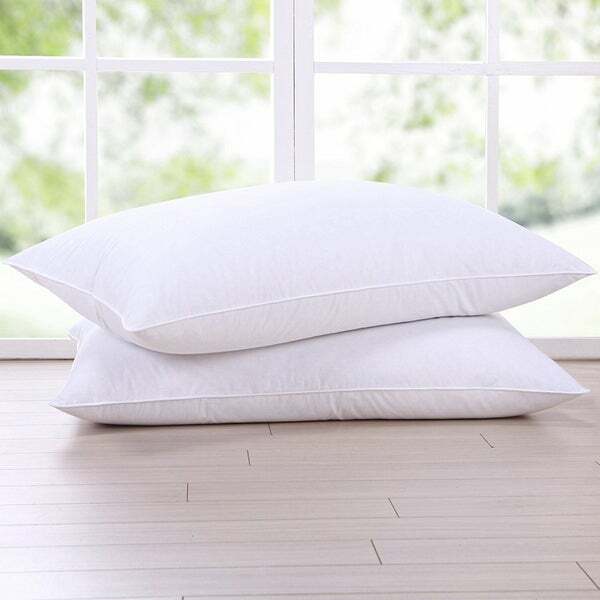 This classically designed, natural fill pillow is perfect for any sleep position. Set includes two pillows crafted with a 233 thread count, 100 cotton face and reverse and filled with 15 goose down and 85 goose feather. Pillows are made from 233 thread count 100 cotton with inner polyester liner fabric. Filled with 15 gray goose down, 85 gray goose feather. Spot Clean, Dry Clean Recommended. Materials are Responsible Down Standard certified and cleansed by Oxipower technology. Dimensions 30.0 In. X 20.0 In. X 3.0 In.